A hybrid SharePoint environment is composed of an on-premises deployment of Microsoft SharePoint Server 2013 and a SharePoint Online tenant in Microsoft Office 365. A hybrid Search approach enables end users to get and view search results across all environments. 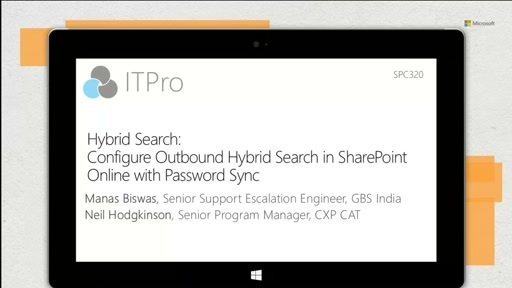 In this session, learn about considerations when configuring hybrid search, best practices, and deployment. 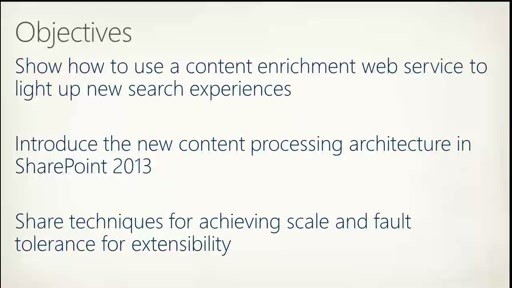 It also highlights the new Hybrid Search Crawl Appliance, now enabling a unified index approach. Very excited about this new functionality and expect this to be a huge win for SharePoint Search and Office365.